I've covered a series of guides on WAEC. My "WAEC: 13 Answers to Students' Questions on West African Examination Council" is one of the best resources to get answers to more than a dozen issues you may be finding answers to on West African Examination Council exams. And just lately, I posted about attestation of Results issued to the Nigerian President, which gives me another reason to write this. Whatever the reasons for not having a permanent access to your WAEC result - be it WAEC Internal (May/June) or External (Nov/Dec, Aug/Sept, Jan/Feb Series), below is a guide to get another one. 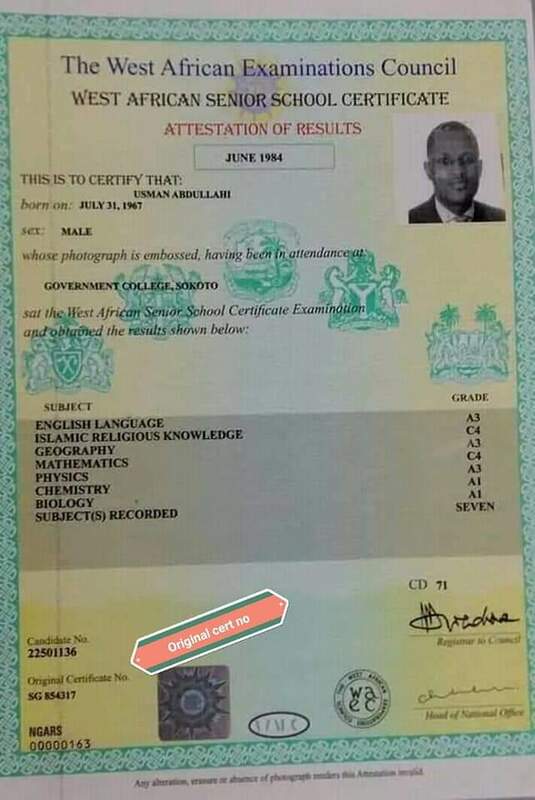 Can I get Lost WAEC Certificate Back at WAEC Office? But, this time it's not the copy of the certificate or original WAEC result. What they will give you is called "Attestation of Results"
You will have to approach the body’s office in the state of the exams. That is, the WAEC office situated in the state where the exam was held would be responsible to prepare your Attestation of Result and hand it over to you. 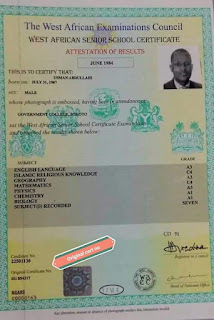 But what is the Difference between Original WAEC certificate and Attestation of Result? Practically, for application, job, official and other purposes, they are the same. In other words, Attestation of Results is widely acceptable for any purposes you will need your original Certificate or Result for. Your list of subjects and grades will be available on both (except F9s) that will not appear on the Attestation of Result. By difference, Certificate will display the candidate’s photo as used during the exams - be it, private candidate exams/result or school candidate exams/result. Attestation will, whereas, display the passport photo recently submitted while applying to collect it. The heading of WAEC Certificate will read such, "West African Senior School Certificate" whereas Attestation will appear on the latter. 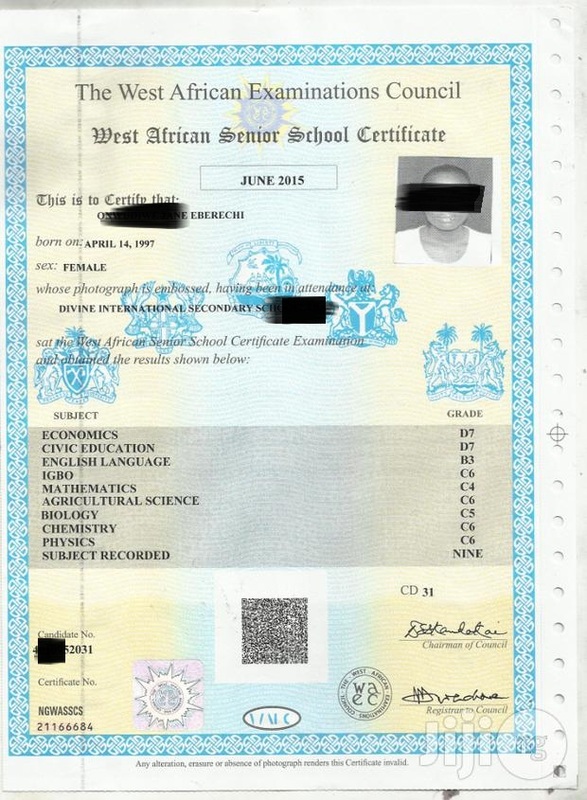 Can I collect my WAEC Certificate or Attestation of Results online Instead? Visit the website to see if the service is currently available. Also, not that only candidates for WAEC GCE 2017 henceforth will have access to this online Certificate printing. And this doesn't mean you can print it yourself. Rather you can only go online instead of office, and request WAEC to print it and get it delivered to your specified address. For the years before, the physical presence of a candidate will be needed to collect WAEC (GCE) Certificate at the WAEC office of the state of exams. This means the same is applicable to the Attestation of Result. For WAEC (Internal) May/June, a candidate must return to the school of the exams. Yours should be with the exams officer of the school within two years after the exams. School candidates do not have to visit WAEC office. What are the Items/Documents Needed to Collect Attention of Results? NOTE: All the above must be submitted to the WAEC office of the state of the exams. What are the Requirements to Collect Original WAEC Certificate or Result? Read answer to that here. 257 Accredited NYSC, WAEC, NECO and NABTEB Cafes or Registration Centres in KATSINA State. Magnificent site. Plenty of useful info here. I'm sending it to several buddies ans additionally sharing in delicious.